Seth Rogan knows what’s up! 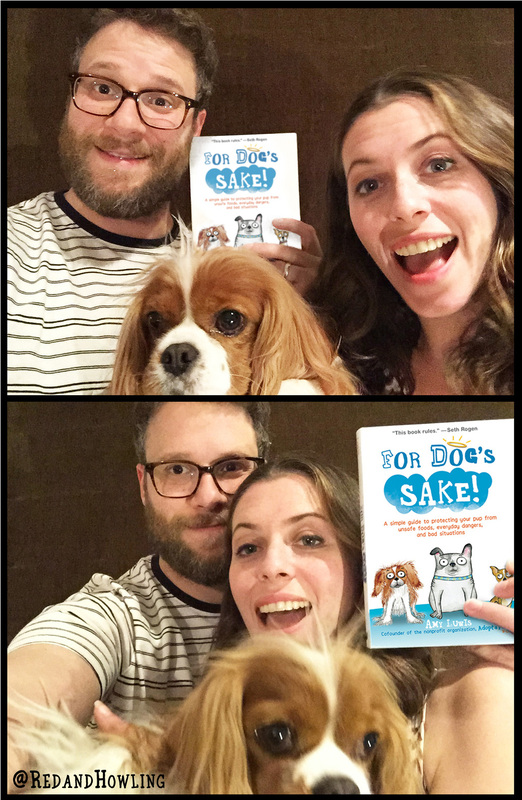 This handy life-saving book, “For Dog’s Sake!” is by our co-founder at Red and Howling. It’s a goldmine of information that all dog parents need, from how to perform the Heimlich Maneuver on a dog who is choking to understanding the hidden dangers that lurk in our homes. Best of all, purchase the book between now and the end of June and 20% of the author’s proceeds will go directly to helping sick and injured shelter pets through Adopt-a-Pet.com’s Veterinary Care Fund.